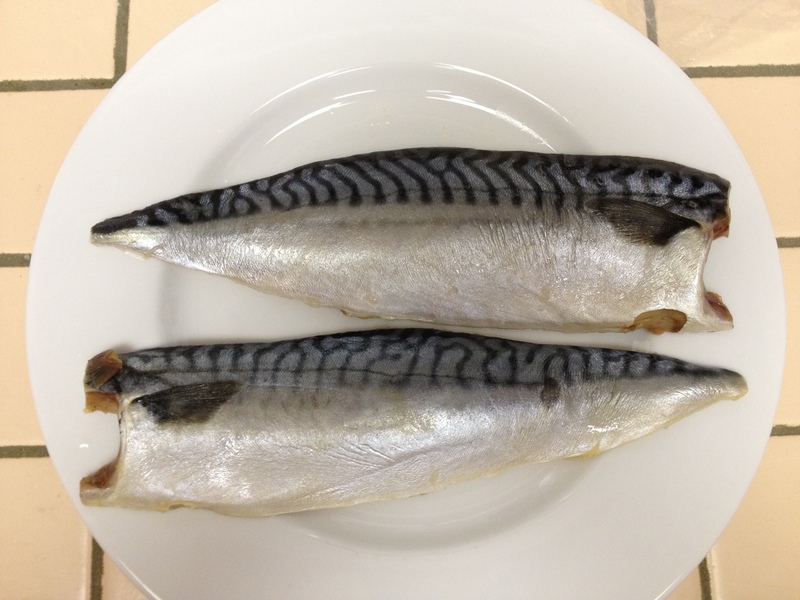 Atlantic Mackerel (Scomber scombrus) | Better Know a Fish! It swam the seas of Norway. It was processed in South Korea. I bought it from a Japanese grocery store in California. In death, the Atlantic mackerel (Scomber scombrus) remains a beautiful fish. Its back is a steely blue, fading to a shimmering silver. The dark markings evoke some ancient glyphic script, each fish a unique stamp. As if some greater hand had written a blessing upon each fish before setting it into the sea. They would speed off — and while small in size at about a foot (30 cm) long, their powerful, lunate tails beat on like like a supercharged wind-up toy, jetting their little torpedo bodies through the turbulent seas. Schools upon schools. Hundreds. Millions. And then, they are caught. In the gullet of a cavernous, mechanical net. Or with the rod of a young child, who has now earned an early but everlasting memory of the ocean. 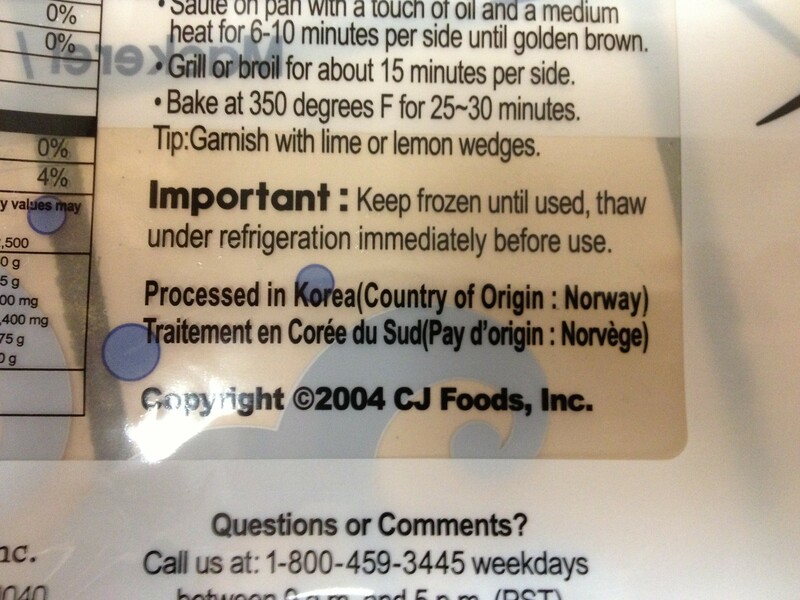 The pair of fillets that now sit atop my kitchen counter have traveled around the world, from Norway to California. Perhaps, on some kitchen counter in Japan or even Romania, another pair sits, but these having been caught off of Massachusetts or Maine. East to west to west to east. The mackerel carousel all ends the same way. The steely blue skin now sizzles into a golden brown. 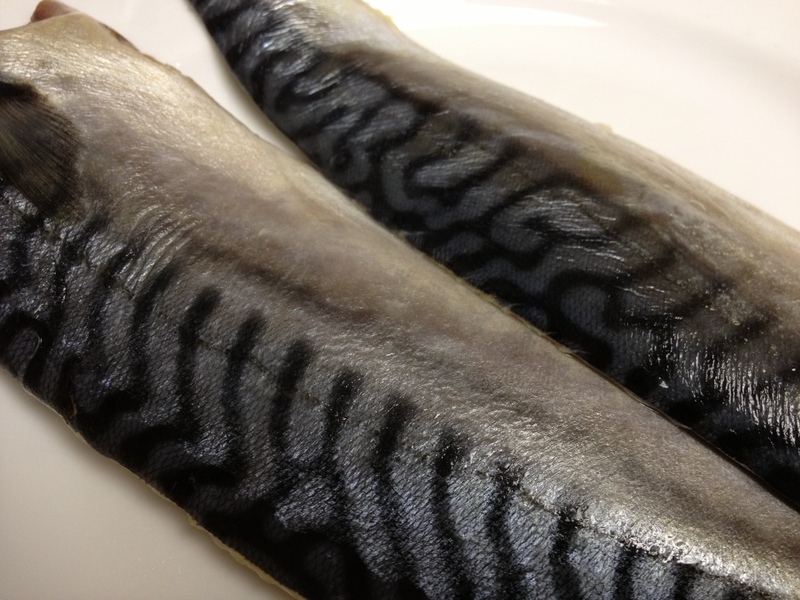 The acrid, pungent smell of the salted mackerel fillet soon melts into a rich, oily aroma. 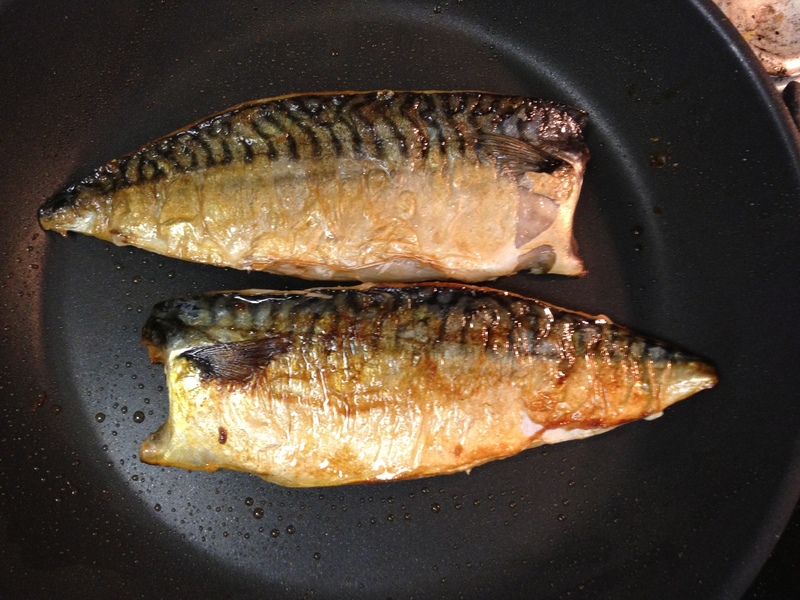 As the pan heats, the mackerel’s own fats and juices crackle and burn, as a rasher of bacon on a griddle. The fish is done. Its skin crisp. Its firm, muscular body resists the pull of the fork, but finally gives way into chevroned, angled flakes. It is eaten. Its oils lather the tongue with each chew and savor. It is that instinctive response when a wholesome fatness is tasted. Some primal drive is sated as the body senses the good and useful calories ingested and the fatty acids absorbed. This entry was posted in Actinopterygii, Marine Fish, Perciformes and tagged Atlantic mackerel, baitfish, foodfish, Scomber, Scomber scombrus, Scombridae, sportfishing. Bookmark the permalink.